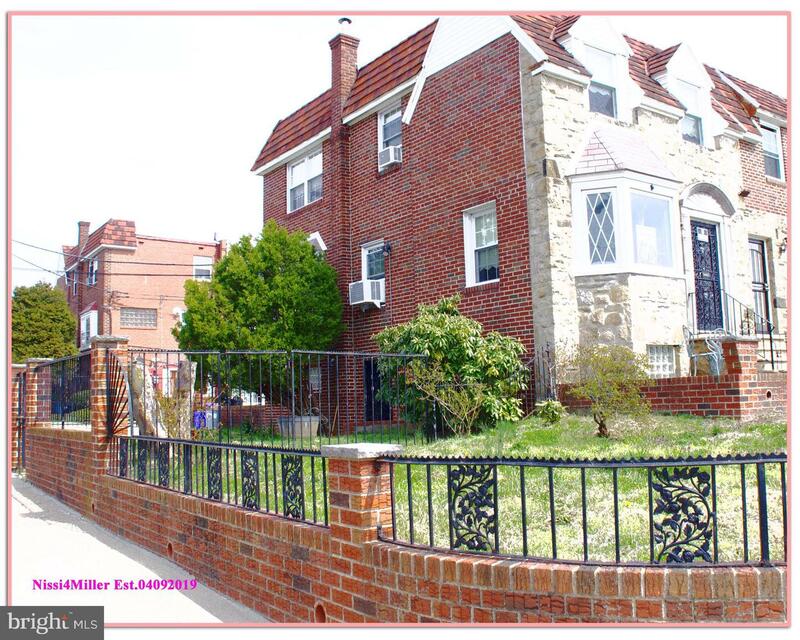 Stop renting and start living, in this beautifully maintained oversized corner property! Ever dreamed of running your own business from home? Or supplementing your mortgage with a rental unit? Well, the possibilities are endless when you have a private entrance to your walkout basement, with a full bathroom already in place. Host all of your family gatherings in the lush side yard while gazing at the beautiful rose garden...you can literally stop to smell the roses while sipping your rose and never needing to leave home. Enter into an expansive light filled living room, boasting hardwood floors, and a lovely bay window. The dining room sits just beyond for a nice open concept, to host Sunday supper. Upstairs you~ll find two large bedrooms with an abundance of closet space, perfect for the fashionista in your life. Need parking? There are two spots, and one is even gated. Pack your bags, because you~ve found THE home!